MicroLending for 2 micro-investments in Women’s Enterprises, looking for 3rd one. We are so happy to let you all know, we are having the opportunity of contributing to the success of two micro-enterprises. As a part of our Triple Bottom Line Statement, we have the commitment to give back to the community a percentage of our Net-profit. We aspire to support civil movements, Non-profits organizations, cultural associations or micro-enterprises. * Managing by Latino women. Living in a rural area. * Striving for a community impact. Angela Maria backed by Interactuar. She is a mother and a serial entrepreneur, so, good luck on your new business! Valeria Lizeth backed by Interactuar. She is starting a stationary shop focused on school material in Puerto Bococa, Colombia. They do not reach their financial needs yet, so, please join us and support them! We have still put $75 down to support one o two more Micro-enterprise owners. We still want to take our three top priorities into account, plus we would like to support at least one Latino woman in U.S.A. Please, let us know if you or your organization is backing one Micro-business that fulfill those features. * There are so many Crowdfunding sites, you will have to take previously some time you think of what kind of business project you would like to support. 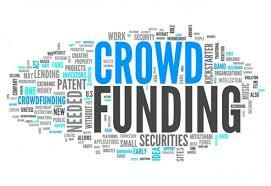 * A year ago, I thought Crowdfunding would change the Financial world. Well, it is not a future, it is the present. The change is here. * You feel so good when you do what you want.